Today, it cannot be denied that there are numerous innovations and technologies which allow individuals and businesses alike the convenience they need on a day to day basis. These include cheap, secure cloud storage solutions which help users to access their files wherever they are in the world. 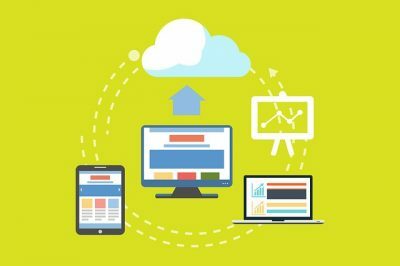 With the variety of options available on the market today, choosing the best cloud storage can be intimidating, particularly when there are various factors to consider. From low costs to maximum protection and coverage, weighing the provider that has the most to offer is only essential. One of the most popular cloud storage options available on the market today is Dropbox. Complimentary access of this platform only gets users 2 gigabytes of space. However, increasing the amount of gigabytes can get quite pricey, especially when the price is divided per gigabyte. Interested parties have the option of availing 1 terabyte of storage for $99 per year or 2 terabytes for $198.96 a year. While the price per gigabyte comes out at $.10 a year, the file recovery system, as well as version history features, are quite competitive compared to other cloud storages. There are applications available for desktop systems such as Mac, Linux, and Windows, as well as mobile applications for iOS, Android, and Kindle. Another worthy contender on the market is Google Drive. Users who have Android devices typically have an easier time accessing and syncing their files using this platform. Apart from storing files, users can also upload high definition photos. The upside is that individuals will be given 15 gigabytes to use for free. Likewise, having 100 gigabytes ready for a price of $1.99 is definitely a steal. 200 gigabytes of storage space for $2.99 a month is also a great deal. 2, 10, 20, and 30 terabyte options are also available for use, ranging from $9.99 per month to $299.99 per month. Android users aren’t the only ones who can gain access to Google Drive storage. Even Apple and Linux users can take advantage of this cloud storage platform as well. Despite being considerably less known compared to Google Drive and Dropbox, one of the best – if not the best – options available in the field is the IDrive system. While only offering 5-gigabytes of storage for free, the platform boasts of a user-friendly interface and best supports file sharing through a variety of networks, including email and social media. Individuals who have been known to accidentally delete files from their computer will be given the chance to retrieve precious documents since they won’t be instantly written off from the server. Individuals who opt to step off the beaten path can avail cheap, secure cloud storage with IDrive. 2-terabytes of storage space is only $4.33 per month, while 5-terabytes of storage space works out at $6.22 per month. Those who wish to enter a yearly contract will be given discounts. All of these cloud storage platforms provide bang for your buck deals designed for heavy usage. At the same time, each of them ensure safer and more secure file storage. For those who are looking for a fair price whilst enjoying ease of use, IDrive might be a great option to consider.